USA Map! 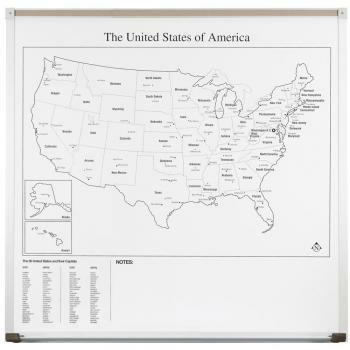 This dry erase map is constructed of a magnetic porcelain steel dry erase surface which is guaranteed for 50 years! The graphics are embedded into the porcelain steel surface and resist fading, scratching or staining. This dry erase map is great for American History or political science teachers who use maps regularly to teach.